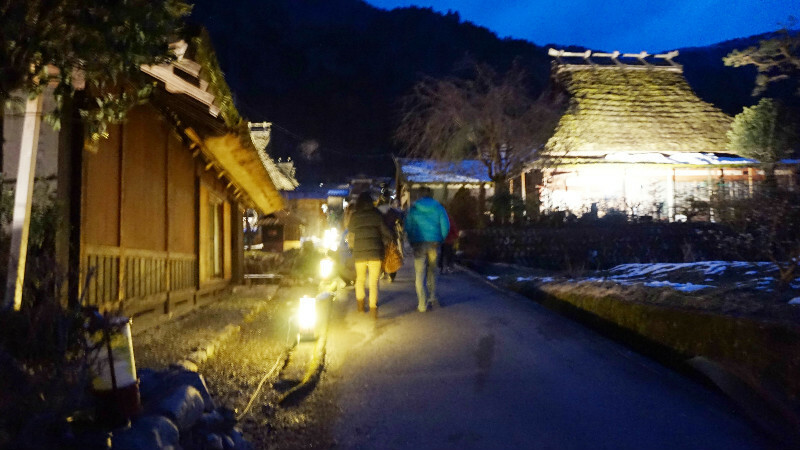 Feel the festive spirit at Miyama with Sharing Kyoto. 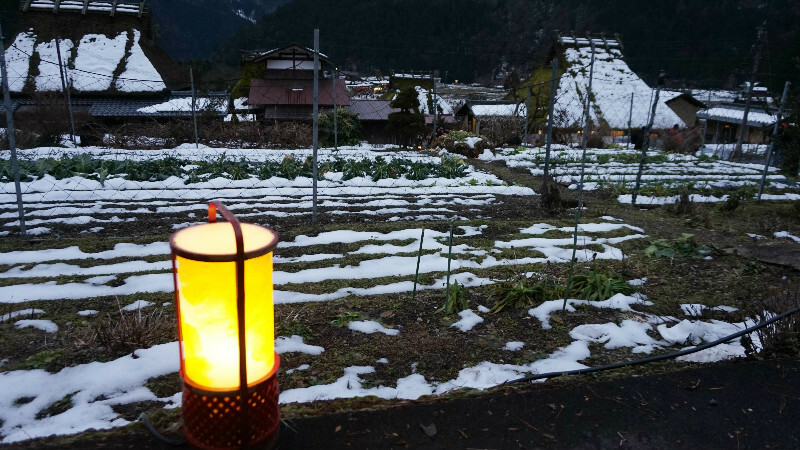 The snow lanterns and thatched roofs ofMiyama are a special sight. 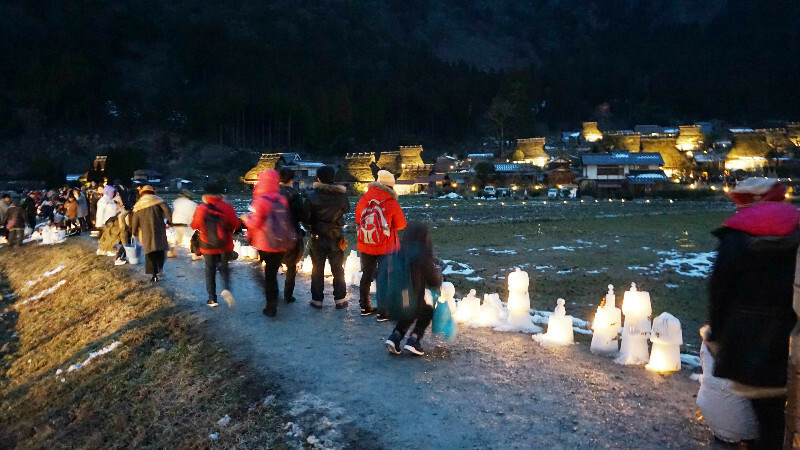 The snow lanterns festival at Miyama Kayabuki no sato has taken place since January 30th to February 6th. 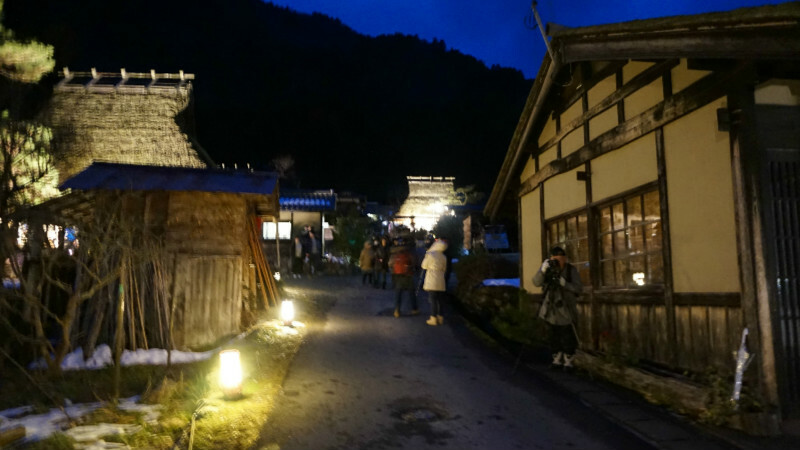 Miyama is located at the north of Kyoto, it takes about 1 hour by car from Kyoto station. Miyama has extremely different characteristics compared with down town area of Kyoto. Beautiful and magnificent nature or clear air are packed and plenty of vegetables and natural water are also famous specialty products. Gorgeous nature makes us enjoy throughout the year. 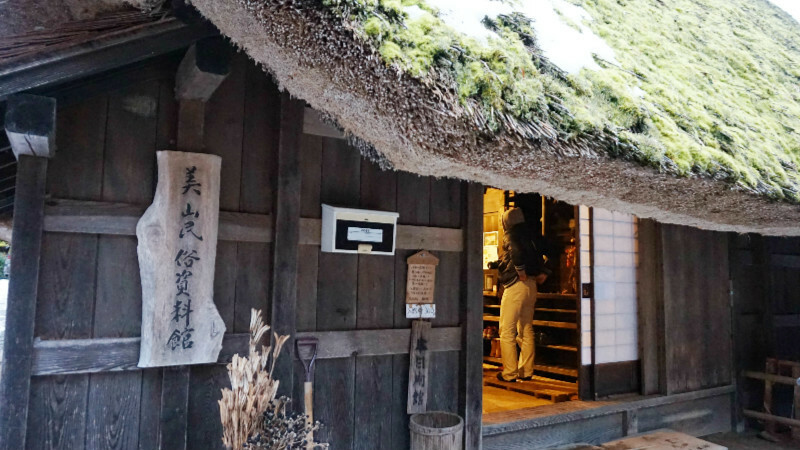 One of the most visited attraction in Miyama is the thatched village. Almost the whole village is composed of old thatched houses and is carefully maintained as a cultural heritage site. 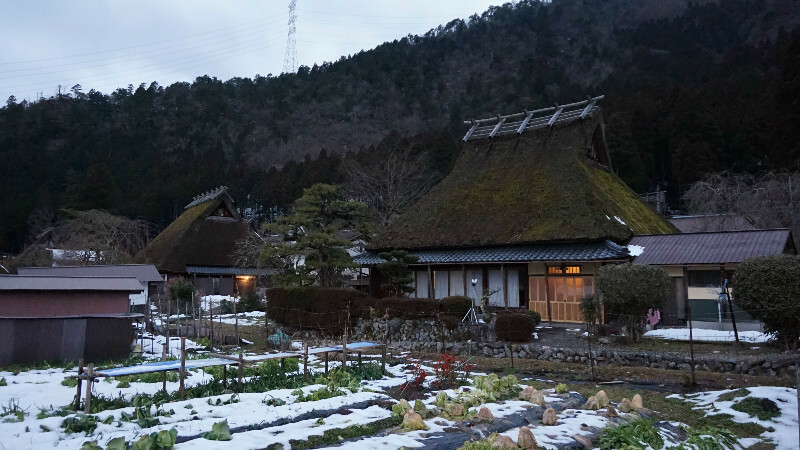 During the winter season, usually a thatched is covered with heavy snow and it increase beauty of the thatched roof. 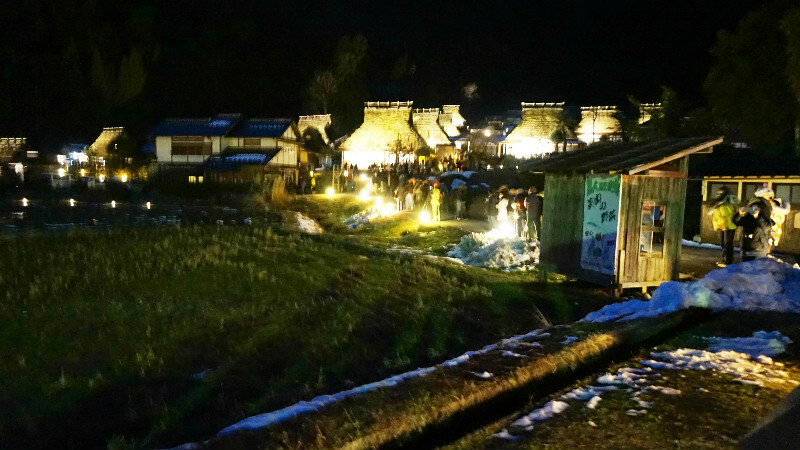 The lighted up thatched houses are really fantastic, it reminds me of the warmth of family even though outside is too cold. I went to around 5 pm. Sunset was not yet, but there are a lot of people. Parking is full by cars or tour buses coming from Kyoto. I suggest coming earlier. The view before lighting up is also beautiful. I could feel nostalgic atmosphere. This winter is a little bit warm, usually thatched roofs and fields in front are covered with more snow. 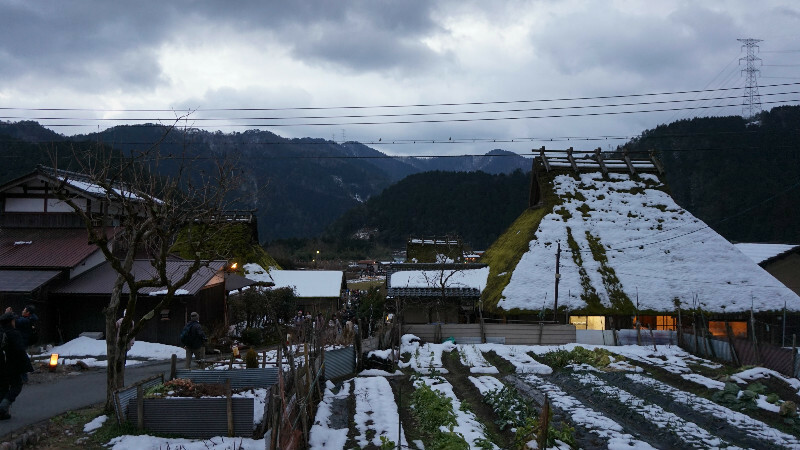 People who are living in the thatched village are engaged in agriculture. Vegetables or rice are grown up in these fields. A folk museum is located in the middle of a village. Farm or living tools are displayed, and you can feel the atmosphere of old life. Admission fee is 300 yen and closing time is 4pm. Mondays are regular holidays. Gradually, it was getting dark, and lighting was starting in around 5:30pm, bit by bit. Atmosphere is extremely different from before sunset. It looks like a temple which is floating in a snowed road. It is pretty fantastic! Hand made snow lanterns are making a line. 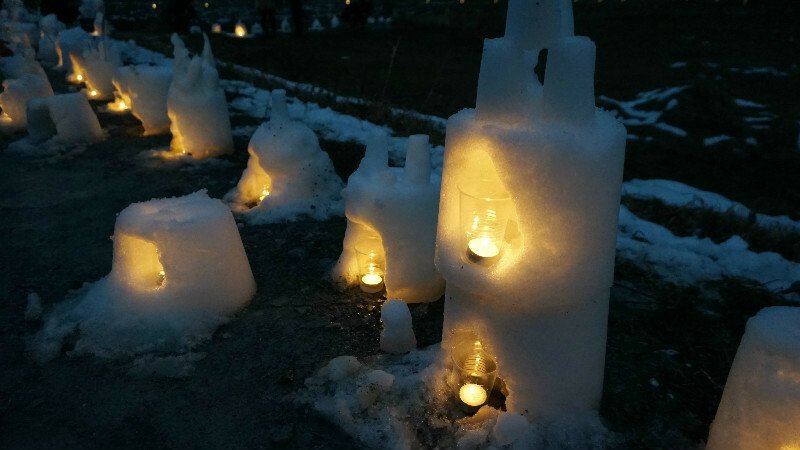 Visitors could make their own snow lanterns as they like, and it is lighted up from inside and lined on the side of the road. Each personality of people who made the lanterns has been expressed wonderfully. Handmade lanterns are making a bright road, it looks like a virgin road. 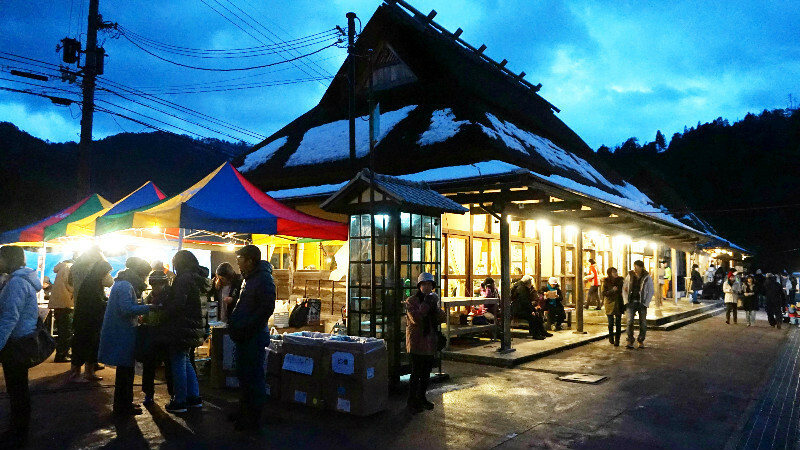 Food stalls are offering foods or drinks which are made with ingredients from Miyama. These moments also will become a part of your unforgettable memories. The village is small, but there are a lot of parts that we must check and take a photo. It has a variety of faces, so you cannot help taking pictures. 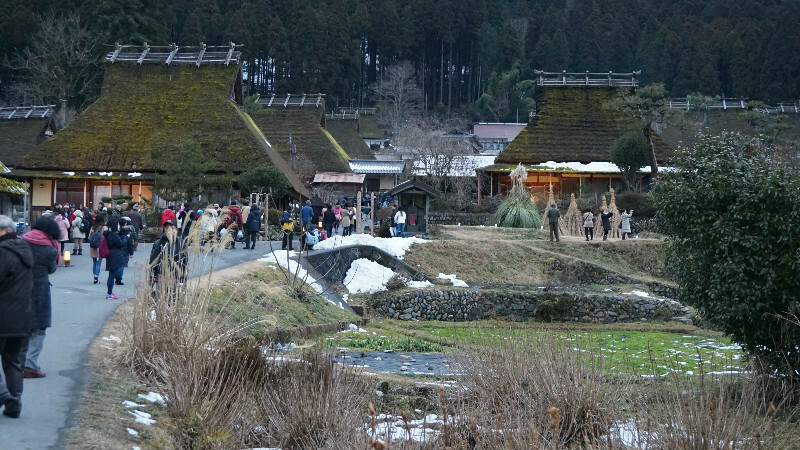 Please visit the thatched village at Miyama. Fireworks will held on February 6th , it is the last day of the snow lanterns festival. My grandmother is living in Miyama. 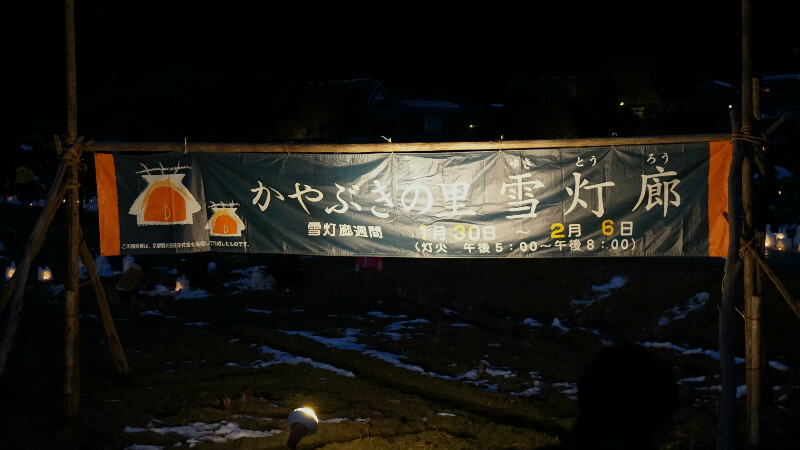 That’s why, I went to the thatched village many times, but, it was the first time for me to visit the snow lanterns festival. I was really surprised that atmosphere had changed completely compared with usual one. 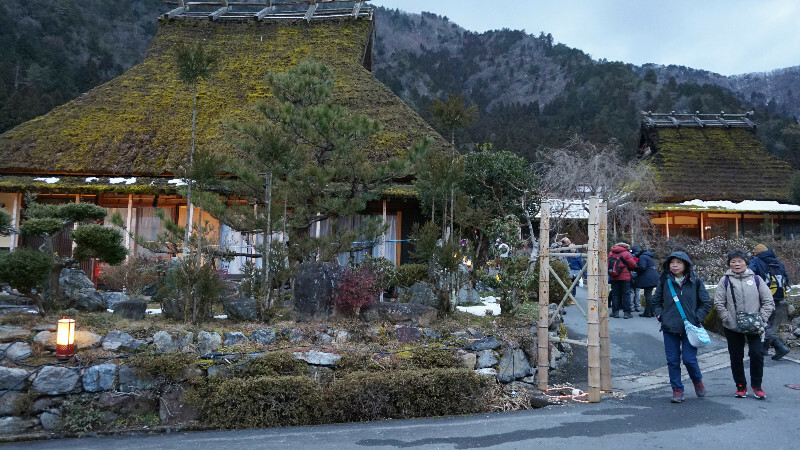 In addition to that, I could enjoy specialty products from Miyama at the food stalls, like a kusa mochi, black bean mochi, and sake from Miyama brewing. You will be enjoy various characteristics of Miyama.